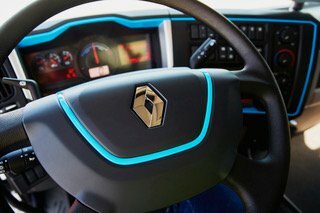 Having spent the last ten years developing electric powered vehicles, Renault Trucks, earlier this week launched its second generation of light to medium duty Z.E. 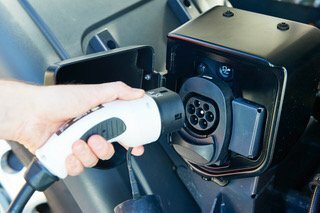 (Zero Emission) electric trucks. At a trade press event in Lyon, France in the lead up to the IAA CV Show in Hannover, Germany later this month Renault Trucks executives said that sales of electric vehicles have not as yet been substantial, but this will change with the introduction of restrictions on diesel vehicles in most cities around Europe, which is happening already. In their estimation by 2050, the number of people living in cities will be 7 billion, double what it is currently. 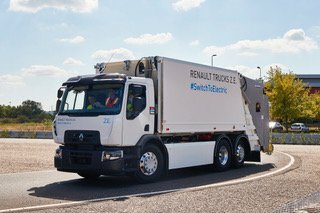 At the moment Renault Trucks offers 16 and 24 tonne electrically powered options in its truck range and also the Master Z.E. van is now produced.